Consciously or sub-consciously, we all are guilty of developing bad eating habits. Such habits may seem harmless but actually prove to be quite dangerous in the longer run. Here’s a list of some bad eating habits and if you are guilty of any one of them, it’s time to quit. Bad eating habits you need to quit: Consciously or sub-consciously, we all are guilty of developing bad eating habits. Such habits may seem harmless but actually prove to be quite dangerous in the longer run. Here’s a list of some bad eating habits and if you are guilty of any one of them, it’s time to quit. I am sure that all of us have heard that a breakfast is the most important meal of the day. The best dieticians in India say that it’s true and should rigorously be followed. The first meal of the day i.e. the breakfast serves as a fuel that keeps us energetic and going throughout the day. Hence, if you have a habit of skipping breakfast make sure you quit it immediately. Are you confused about what you should have for breakfast? Or do you have certain food allergies that might restrict your breakfast items? If so, you can consult the best dieticians in India for the same. A registered dietician will help you make a breakfast plan that is healthy and suited to your needs. You can also consult online dieticians. The best diet plans will also give you added benefits such as weight loss. Who doesn’t love munching on snacks and packed foods? We all do. But this is one habit that is harming our bodies. While indulging a little once in a while is alright, mindless munching is very dangerous. To avoid mindless munching, many online dieticians suggest that you do not keep your kitchen counters stacked with packed and unhealthy food items. Having a kitchen full of snacks will only result in more and more munching. We are all addicted to certain kind of foods. Some have chocolate addiction, some caffeine while some may have an addiction of potato chips or sweet treats. But all these food items, if consumed on a regular basis, may prove to be harmful. Hence, it is crucial that these addictions get broken. The best dietician in India suggests that you break such addictions gradually. Decrease their intake a little, and then keep on decreasing until you have your addiction under control. This is another bad eating habit that you need to break. Online dieticians say that you must not eat anything after your night meal. 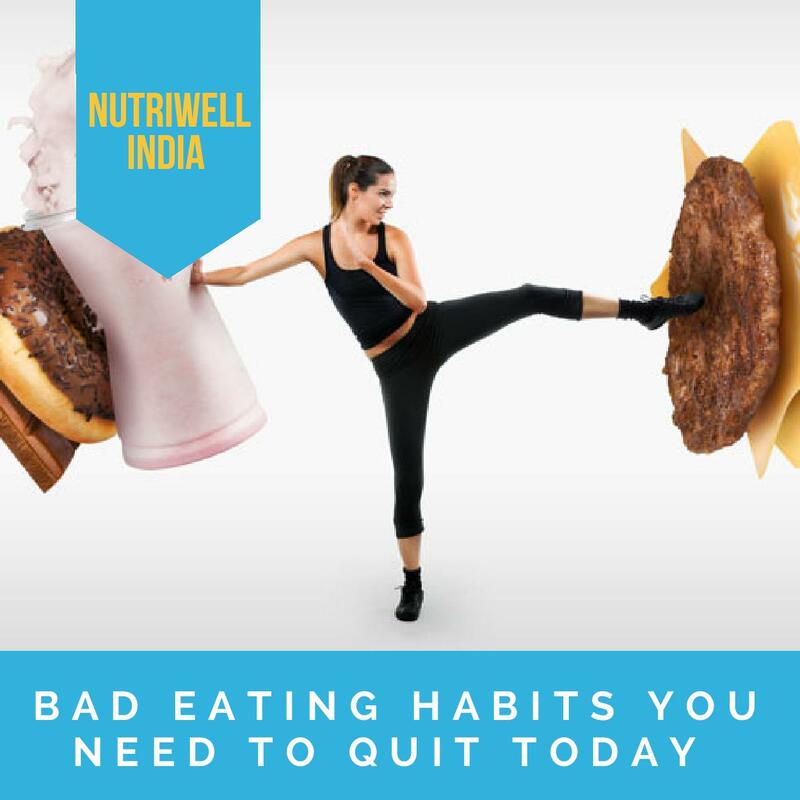 The best dieticians in India say that it’s the worst habit that you can have. To break this habit, consider that your kitchen is closed after dinner until breakfast.